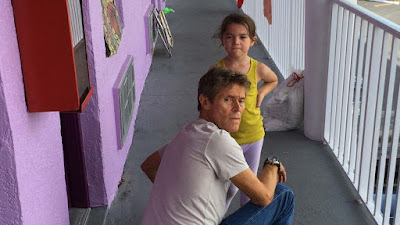 THE FLORIDA PROJECT is a beautifully shot and acted social drama that's a rightly tough watch. It tells the tale of three kids living hand-to-mouth in motels in Orlando, a stone's throw from Disneyworld and yet a world away from rich kids being indulged. The star of the film is Brooklyn Kimberly Prince, who plays a young girl called Moonee. She's very precocious and full of attitude that she's learned from her young and damaged mother Halley (Bria Vinaite). Halley barely has enough money to buy food but somehow has money for cigarettes. She so feckless with money that when she has it she wastes it and then turns tricks to get more. It's hard not to hate her, but then you realise that she probably experienced as dysfunctional a childhood as her daughter is currently experiencing. So what we get in this film is a two-hour portrait of an unfit mother and I spent most of the film inwardly anxious that her kid should be lifted out of this and into care. And that offset what I think was meant to be an enjoyable portrait of kids getting up to capers - scamming people for free ice cream and whatnot in a jaunty comedy. I was just too angered by the social trauma to be amused. I also found that Moonee's antics started to grate. I'll freely admit that this is a highly subjective criticism, but I'm not used to having small kids around and I just found her behaviour deeply annoying. In fact, for me the most memorable and affecting performance in the film was Willem Dafoe's motel manager who exhibits common sense and humanity in a performance against type and worthy of awards recognition. I also think the heightened saturated colour and cinematography is some of the most memorable of this festival. 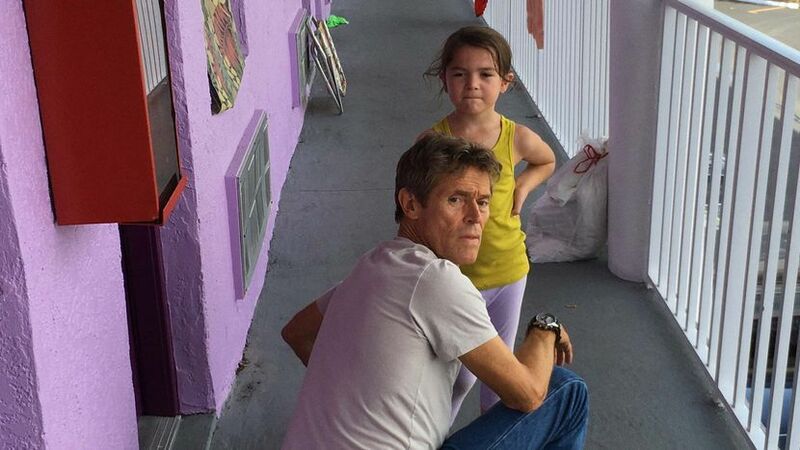 THE FLORIDA PROJECT has a running time of 115 minutes and is rated R.